This June 2018 newsletter is all about the extra fields that we added to the movie, comic and music editions of Connect, the CLZ Cloud syncing and the CLZ mobile apps, all based on your requests and suggestions in the past few years. CLZ Summer Sale: Pre-pay for 1 year and get 6 extra months free! Pre-pay for 1 year and get 6 extra months free! For many years, the CLZ Cloud has been at the center of all our cataloging solutions. Starting out basic, with most of the details shared from our Core, but through time enhanced with more and more cloud fields, so that you can sync your own data between desktop, mobile and Connect. Adding new fields to the CLZ Cloud is a *lot* of work, as it requires changes to the cloud storage itself, to the Connect web-apps and to the syncing system. Then when that’s done, all desktop programs and mobile apps need to updated to support the new sync fields. Quite a project, involving *all* CLZ developers. To make this as efficient as possible, we usually bundle the field additions, doing all requested fields in one go. Last year, the CLZ Clouds for books and games have received a big upgrade with extra fields, plus we added track list syncing to the music cloud. 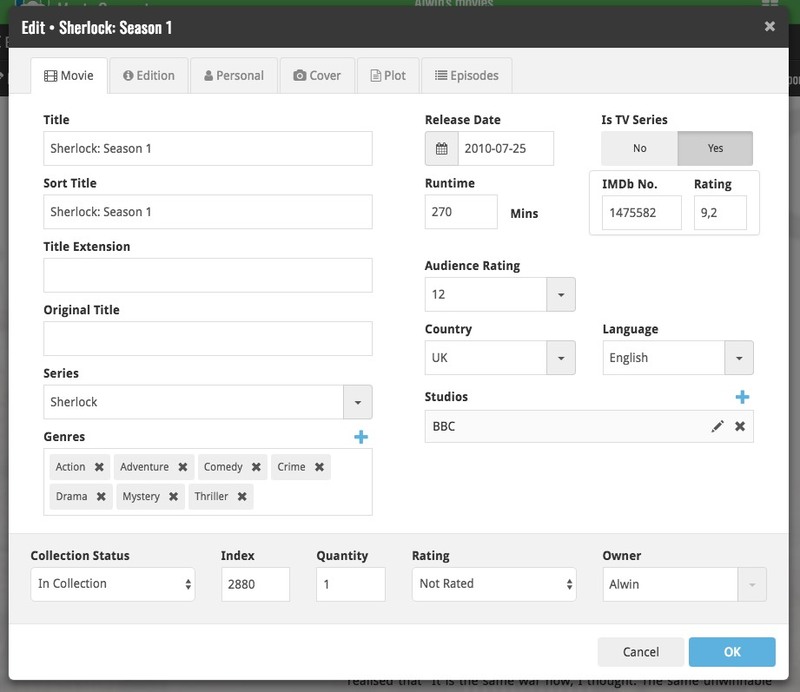 All of the above fields are now fully editable in Movie Connect, fully editable in CLZ Movies and now sync your own data between Movie Collector, CLZ Movies and Movie Connect. Of course this requires the latest versions of Movie Collector and CLZ Movies. 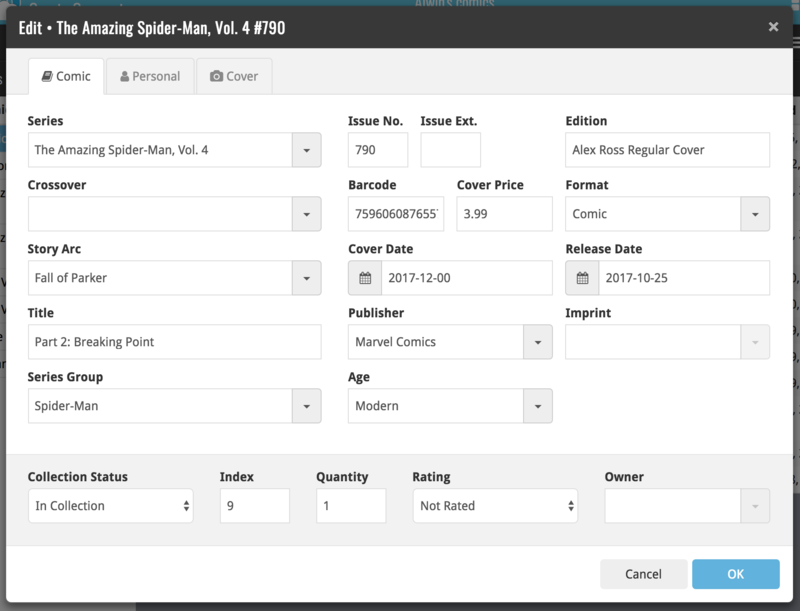 All of the above fields are now fully editable in Comic Connect, fully editable in CLZ Comics and now sync your own data between Comic Collector, CLZ Comics and Comic Connect. Of course this requires the latest versions of Comic Collector and CLZ Comics. All of the above fields are now fully editable in Music Connect. Updates to support the new fields are coming up for all Windows, Mac, iOS and Android editions, within 4 weeks. 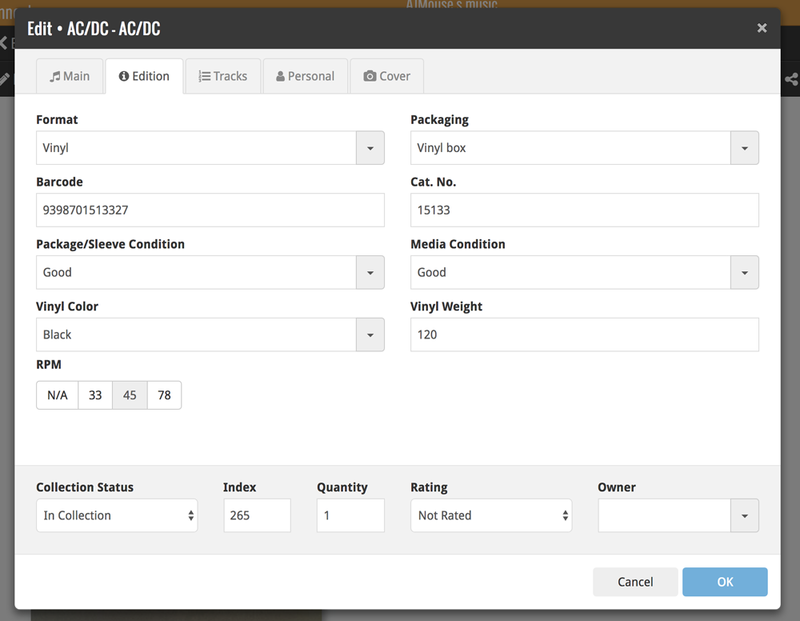 A cool user interface update for the Connect software, in which we makes it easier to select items and easier to perform batch actions on the selected items. To select items, just click the checkboxes on the left of each entry in the list. Checkboxes are also available in Card View and Images View, just hover your mouse over an item. No more need to go into “Select Mode” first. The Select Mode is automatically activated as soon as you checkbox the first movie, clearly indicated by the blue Batch Action Bar that replace the regular toolbar. Yes, this time-saving tool finally made it to the Connect edition! Just use the enhanced Add Movies screen to find a box set, either by title or by barcode, and our Core immediately shows which movies are in the box. 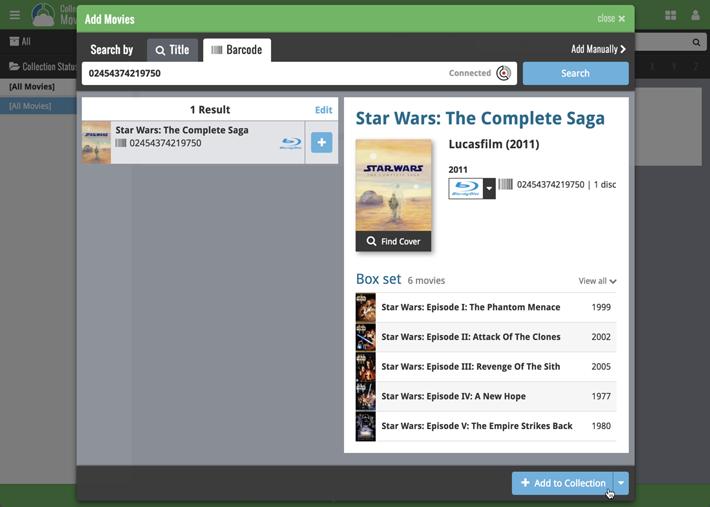 Click Add to Collection at the bottom right and all contained movies will be added to your database, automatically linked by a box set entry.